My aunt makes amazing panipopo, massive trays of them, and sells them from her shop in Samoa. Unfortunately the only clear recipe I've ever been able to get out of her is for the panipopo sauce ("equal parts coconut milk and water, then sugar to taste"). So here is my version which pairs a simple bread bun with Aunty's coconut sauce. These were usually eaten after the evening prayer, with a steaming hot cup of kokosamoa (Samoan cocoa), but I have been known to eat them as a midnight snack and then again for breakfast the next morning. What you're doing here is giving the yeast a headstart before everyone else jumps in the bowl. You should see your yeast froth to the surface of the water. If you don't see any froth then a) your yeast is old or dead and you need to get some fresh stuff, b) your water was too hot and you burned them to death or c) did you wait 10 minutes? did you really? i mean, like really REALLY? It's difficult to give an exact flour measurement because flours differ from place to place. What you're looking for is a cohesive mass of dough, so add the first two cups of flour, mixing after each addition, and then add the last cup in bit by bit until you see your dough come together. This is the most work you'll have to do for these buns, I promise. You can add a little bit of flour from time to time to keep the dough from sticking to the surface or to your hands, but don't add too much or you'll end up with tough dough (tough dough = tough buns). In my 30°C/86°F kitchen, my dough took about 1 hour to double in size. The dough will prove (rise) at almost any temperature except freezing, it just depends on how hot/cold your kitchen is. Better to go by volume here, and not by time. Punch the dough down and turn out onto a lightly floured surface. Shape the buns and place in an ungreased baking tin. Cover and leave to rise until almost doubled. Roll into a long rectangle, and then roll it up. Slice into 2.5 cm (1 inch) or any even-sized rounds. Pinch off balls of dough and roll into balls. Some say that the jellyroll-style buns soak up more of the coconut sauce, but I've made them both ways and they're pretty much the same. Because of the size of my oven, I used two 20 cm round aluminium tins, but I think the buns look better in rectangular or square pans. There's something about seeing all these uniformly shaped buns lined up in a row. The important thing about your baking pan is that it is deep enough to hold the buns and sauce without it bubbling over. Oven cleaning - not fun. If your coconut milk is a little coagulated, just give it a stir and it'll be right as rain. Try to use a good quality canned coconut milk (my mother thought the thicker, the better) but as always, fresh is best. If you taste the sauce as it is now, you might find it almost sickeningly sweet, but don't worry, because during baking, some of the sugar is absorbed by the buns. 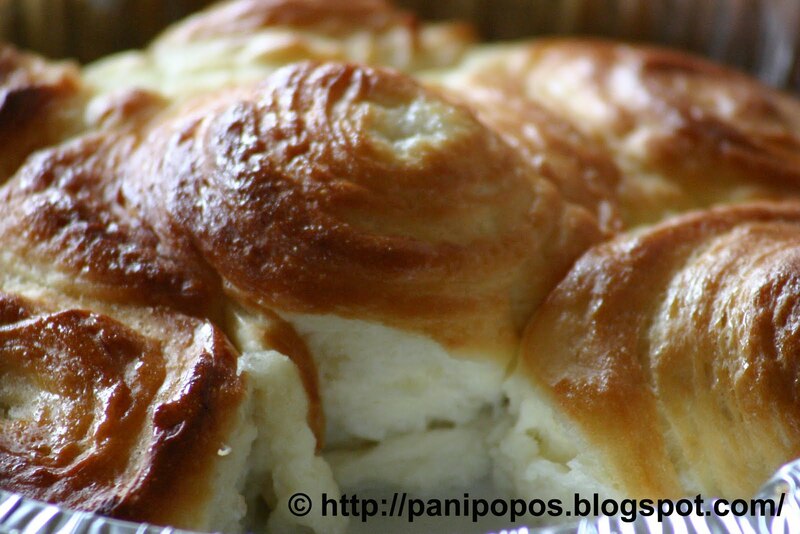 * Buns can be frozen in baking pans immediately after shaping and then baked the following day. After you take it out of the freezer, just leave it to double in size (will take 2-3 hours to defreeze and then rise), pour on your sauce, then bake. * Keep leftovers (ha! what leftovers?) in the refrigerator. Usually served upside down (sauce-side up) with generous helpings of sauce, but I like to eat them right side up, so I can grab the dry part with my hands, eat off the coconut-soaked part, and then redip the drier bread in the sauce as I work my way up the bun. Good luck guys. I hope you try these because although the recipe seems long, if you cut out all my commentary, it's actually very short. And yes, these do take some time, but remember it's the pani's time, not yours. I really appreciate this. Ua leva fia know how to make it but now you reveal it us or especially me. yay. Keep up the good work sista. manuia. Is it coconut milk or the sweetened cocnut cream you use in the sauce?? Thanks for posting this recipe! I made some yesterday and they turned out pretty good. I'm making more today, but I thought I might try using the scalded milk instead of water. Can you tell me what I've done wrong with this variation, because I let the milk cool & then I let it sit with the yeast for about 12 minutes. It was all dissolved, but I don't know what the froth is supposed to look like with the milk. Anyway, my dough isn't doubling in size like it did yesterday. Yesterday's batch was my first time making any kind of bread, so I'm a little clueless about how to fix this, haha. Is it fixable, does it take longer to double with milk, or should I just start over and use warm water? LOL. Fa'afetai lava! I posted a comment about using the scalded milk with the yeast yesterday, but just wanted to let you know it all worked out in the end. I just had to wait a little longer, but the buns actually turned out better than my first batch :) thanks again for posting these recipes!! Can't wait to try the rest. Maybe you could post one for ko pai?? Fa'amolemole :) my mother-in-law tried to show me, but it was one of those intuition/experience recipes, which I obviously don't have yet, haha. Soifua! Hi, sorry I didn't see your earlier comment in time, but very happy to hear everything worked out. I really appreciate the feedback. Thank you very much for your recipe. I made a batch of 12 and my family think they're great (my family are really hard critics when it comes to food). We are a maori family and we love eating the different foods from the pacific especially these puns I mean buns but we aren't able to get them here in Whangarei, now we can make our own. Very clear instructions and loved the video. Keep up the great work. This was the first time using yeast too so I'm very happy. Thanks again. I remember the first time I used yeast - a little scary. You kind of just cross your fingers and hope for the best. Glad the recipe worked for you :). Hi,,do you have any suggestion about frozen dough. After the dough rise I put it in the oven for 10 minutes and then I bring it back out and pour sauce on it but my bun didnt turn brown on top I poured my sauce on top and the sauce was still sitting on the bun. Please I need your help. Thank you for sharing your recipe. Hi Loa, I've never worked with frozen dough, to be honest, but I assume that once the buns are risen, you just pour the sauce over them and bake. I don't think you need that 10 minutes initial baking time. Good luck! I did it last week and it was perfect. Do you allow me to translate your recipe in french and post it on my own blog? Thx for trying the recipe. Sure, feel free to use this recipe on your blog (I'm flattered!) but pls link back to the original post somewhere in there. Finally I did It ! I don't know if you can read french but I just published your recipe with a ling on your blog. I just checked it out, and it looks awesome! Your buns look delicious too. Good job! Thx for the feedback. And yes, puligi is on my to-do list. I am living in Abu Dhabi in the Middle East and have been teaching here for 10 years. My family lived in Tokelau for 4 years and have an extended island family - so I am so delighted to have found your panipopo recipe and panikeke, two favorites of mine from my childhood. Great video too. My tastebuds thank you - will try them now - hope they work out! Your tastebuds are very welcome. And wow! The Middle East? Never been there, but it looks exotic. Happy cooking. I took note of your recipe. Thanks. Now, I just need to set a date. Just drooling over your delicious bun. Keep up the good work, I'll let you know how my buns turn out, Until then, have a bless day. Thx...all the best with the buns! Hi My names Kisona,I Will Be Attempting too do the Pani popo recipe tomorrow morning but... just wondering is Self Raising Flour && Caster Sugar alright to use? or is it plain flour and white sugar? does it matter? Hi Kisona, for the panipopo, use plain flour, not self-raising (self-raising flour has got baking powder in it, and we don't need that in panipopo because we're using yeast) and caster sugar is ok to use. Sorry about the half moon pies...for that recipe, the dough doeesn't have to double in volume, and actually it can't because it uses baking powder...but sounds like your technique was fine...don't give up! @panipopos Thanks for that :) now i know for nxt weeks cooking lolz. lucky i didn't make the Pani popos today, the dough would of be tough.. tough dough = tough buns :). Hiya, please use plain flour unless another kind is specified...I really hope your panipopo work out...good luck! I have made this a few time now and they are delicious. My only problem is that my mixture is very sticky, even though i put in 3 cups of flour. I find i still need to add more flour when I'm handling it, so it doesn't stick to my hand. why do you think that is? hi thanks for the recipe,i've been looking for a recipe and now i finely got it. I'll try it right now. but i have one question pls,what if i use enriched flour? thanks you so much for the recipe.hope it will come out good. I love your recipes. I don't trust too many of the recipes online but so far, I've tried the panipopos and the paifala (modified it to make pineapple cups) and they're just like how my grandma used to make them :) THANK YOU for sharing!!! You're welcome...that's why I do photos and video too, to show people that in my kitchen, the recipes work...Thanks for dropping by my blog! Thank you so so much for the feedback...my mother is like your grandmother...she can't understand why I need EXACT measurements...They're just naturals in the kitchen, while the rest of us have to weigh/measure...Thank you for trying the recipes on this site and if you try anything else, I'd love to hear if it worked or if it didn't...Happy cooking! hi there, this is my first time baking and having a bit of trouble doing it, i loved watching your vid and love panipopo but however i need help..i my dough was very sticky still after adding the whole 3 cups of flour, very sticky to my fingers, any help there please? and i am following the instructions carefully too and also the water for the yeast please, is it to be just above warm below hot? goodness me im so lost, also the oven please, is it meant to be in the middle of the oven or the very bottom? i also found that the sauce was getting all milked in by the buns. also when leaving to rise after aranging them in the tin, how long do you leave it there for please? obviously i seems like im the only one having trouble making this recipe, sad , also please im using the high grade flour, is that the one i use? PLEASE HELP IF YOU CAN AS I REALLY WANT TO MAKE THESE LOVELY BUNS THE WAY YOU MAKE, WELL ATLEAST CLOSE TO IT. Use as much flour as you need to get the dough sticky, but not stiff...The water should be luke-warm, not hot...Bake the buns in your oven where you would usually bake a cake...somewhere near the middle...leave the buns in the tin until they've doubled in volume - can't give you exact times because it depends on the temperature of your kitchen...use plain flour or bread flour...it's up to you...happy baking! hi, is the 'active dry yeast' the same as 'active yeast all purpose' please? i've got some all purpose one in my pantry already. does they look like little brown balls? then it's probably the right stuff. good luck! hi there my name is faith, i made some last night very yummy but there was one problem, my ones turned out small and flat when they had risen...is that because i maybe need to roll them a bit thicker and cut them a lil bit bigger..? very yummy recipe and easy ingredients, dont need much lol thats my sort of recipe. Hi Faith, my recipe makees 12 medium sized buns....but if you got that many and they still seem small to you, simply make 8 instead of 12 next time (or however big you want them)...thanks for trying out this recipe! heyya, i made some of your buns lastweek, they turned out great but the coconut sauce seemed to have all disapear, and then i made som more yesterday and it turned out like scones, it wasnt fliffy like the original pani's and the sauce this time was all like soaked into the bun, dryish type, can you tell me where i went wrong please, although i should also mention that the first time i made them i didnt add too much of extra flour, but the second time i made them, i added an extra cup and found that it was a little bit tougher....could that be why??? is it surpose to be sticky please??? sorry for annoying you with this, however you recipe is beautiful, if only i knew how to make it like yours lol okaoka ! Hi, yes, high chances that your problem is with the flour...Watch the video to see what texture your dough should be before kneading and then after kneading...The sauce should be more than enough for the buns but if you consistently find the buns soaking up ALL the sauce, then simply double the sauce recipe...good luck! I forgot the egg, but it still turned out great. Someone asked about enriched flour. I have used it in the past & I didn't care for it. Even unbleached flour gave me the same results. It's a bit tough when you knead & when baked a dried texture. When I first started to bake I would use a meat thermometer to tell how hot the liquid was & I still do because of distractions. If you do it's 115 degrees if you add the yeast to liquids. You can add a little sugar to the liquid before you add your yeast. It helps the yeast active. Funny because I sometimes forget the egg too...Thank you so much for your helpful comment...It's really nice when people share their knowledge...Contrary to what some people think, I don't know EVERYTHING about cooking...lol...Thanks again! Finally tried it and it came about fantastic! Thanks so much for the recipe again! That's wonderful! Happy to hear the recipe worked for you! I'm so excited because I'm baking my very first panipopo. I'd like to practice now before mother's day because that will be my dessert for everyone. I just finished making the dough and now it is sitting for an hour. I will keep you posted on how it turns out. What a lovely Mother's day gift...Let it sit for an hour or as long as it takes to double...good luck! Hi! Panipopo young lady, hey i love your recipe.yeah! thanks for your recipe is great and ezy to make. i try few times my family likes alot. watching your video is so ezy, but when i try i miss out a salt or something else. But i try few times and came up very good.on your video no one see your face (sorry about this) you sound like a young lady(if you don't mine me asking. anyway faa'fetai mo le recipe panipopo and other recipe. from tama faipopo. Hi, thanks so much for your comment...I really hope you enjoy the blog, and don't worry if you miss a minor ingredient here and there...I've seen people make pagi with just flour, yeast and water...Happy cooking! Yay! Found the panipopo recipe : ) I am going to make it my mission to cook all your recipes this year. Will let you know how I go. Many thanks for sharing your recipes through this blog. Hey Studymum, good luck with the panipopo. Wish I could personally taste the results, but since that ain't gonna happen, hope you can send us some feedback instead. Photos are always welcome :). wow all i got a say is wow. seki lava le recipe. I have been looking for a recipe from scratch and finally found one, i made it and turn out amazing. i even have pictures to prove it. so faafekai lava mo le recipe. next project o le faiga o le puligi. beautiful blog. thanks for the wonderful work. Thanks for the feedback!...So glad the panipopo worked for you...I would love to share your photos with our readers if you want...If not, just email them to me privately so I can drool...lol...Good luck with the puligi! Thank you! thank you! thank you!!! Im a fijian living in LA and we call "bani-lolo" and I have been searching for this recipe and I finally found it on your blog and tried it out this morning and it turned out beautiful!! Thank you for sharing your blog with us!! Best wishes! Moce Mada!! Bula! you're very welcome for the recipe! If those are your bani lolo in your profile picture, then they look delicious...Vinaka for the feedback. thanks for the demo. Unfortunately, my dough didn't rise within the hour, perhaps my kitchen was too cold, i don't have anywhere warm in the house, so I turned the oven and place the bowl over the stove, hoping that the heat generated from the oven would warm the kitchen and make my dough rise. how fobby of me! i'll let you know how i get on. thanks again for the tuition. really pleased i found your website, i'll certainly try baking again, if this first attempt doesn't work. i'll also take advantage of your other delicious recipe's on your website. faafetai lava. samoan living in london. Hey, thanks for letting me know about your dough...I hope it rises soon, but yeah, a lot depends on temperature...the oven thing is a great idea!...some people will just put a roasting dish of hot water on the bottom of the oven, put their dough a few racks up, then close the oven door tightly...but your way keeps everyone warm...Let me know how they work out! Thank you LilaV for the comment! Wish I was at your house right now munching on panipopo...Haven't made this for myself in quite a while...Malo le kuka! Thank You so much for sharing your recipe. I tried it last night and they came out awesome. It was yummy! Thank you again! I plan on trying the paifala soon. Will let you know how those turn out. Nice one! Good luck with the paifala and by all means, let us know how it goes. Hi Anna, of course you can use my recipes on your website. Just please put a link to my blog in there somewhere, thanks. I'd love to check out your site too so email me the link when you have time. Cheers! OMG, don't put in 2 tablespoons or your panipopo will take over the house like the BLOB...It's both teaspoons...2 teaspoons and a quarter teaspoon....good luck! This recipe was so delish! and VERY easy. Both my daughter and I aren't normally coconut fans but this we both loved it! My husband who is Samoan said it was really good but I should double the coconut milk mixture and drench the "pani". My next adventure will be the Keke Pua'a..... thanks for all the great recipes! Your husband is right...drench them but don't drown them...Good luck with the keke pua'a! Awesome...I'm sure you and your loved ones are really enjoying them...Great stuff! I really love your recipes...Thank you so much. 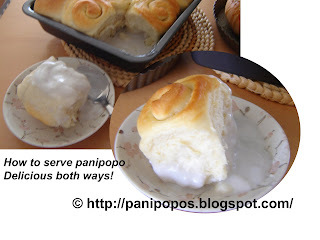 I've tried the panipopo recipe a couple of times now, the dough itself turned out really good, but the only problem is that the buns got sticked on the bottom of the baking dish....Can you help me with that faamolemole? Faafetai tele lava ma manuia lou aso. Thank you for the comment...sounds like you don't have enough sauce for the pan you're using, so please make extra (x1.5 or even double)...the bottom of the buns should be drenched in the sauce when you go to bake, and also after they've cooled...good luck! Thank you so much for getting back to me. I would try that next time. Thanks for sharing these great recipes...Have a good one. Thanks for your comment Maka...is that Hawaiian? or Raro?...sorry, me not understanding...but please enjoy the blog and thanks for dropping by! Hi, thanks for your comment...I don't usually put anymore sauce in, after the buns are out of the oven, because the sauce has to bake for the coconut milk to thicken...Why don't you try just adding all the sauce at the beginning of baking, all in one go, and then see how that turns out...You shouldn't have to add any more later...Happy baking! I really appreciate your blog and videos..I'm half Samoan and my fiancé is full..your blog and videos are EXTREMELY helpful! I cook so much more Samoan food because of this! My Panipopo came out perfect! TyLava! Mine came out perfect!! Ty Lava Panipopo! Thanks for your comment...I'm so happy your pagi turned out...People love to eat these, but not enough people know how to make them, so really happy you can make them now...Malo! Bula vinaka from Fiji...Tried the Bani Lolo today and was perfect. Bula Fiji! Bani Lolo? They sound delicious in every language, don't they? Thanks for visiting. Anonymous, so basically you made bread...lol...Thanks for trying it out anyway. forgot to mention, as per your flour measurement the dough was wet, i used app 3/4 cup more for me to be able to handle the dough. thanks the buns were super soft. Thank you for the recipe! The buns and the sauce turned out great. I think it's just a matter of paying attention to every bit of detail in the recipe and instructions. Much thanks for the easy to comprehend recipe and instructions. You weren't kidding about the kneading part, being the hardest part. I was about ready to throw the dough out the window and run it over with my car once or twice after just three minutes of kneading. I'm THAT impatient. What can I say? I'm Samoan haha I was worried that they might not even look like buns when they came out, but they came out looking mucho perfecto. So thank you, thank you, thank you! Manuia! Hi, great recipe! I plan to make them for my Thanksgiving dinner. If I make them in advance, do you know if they will stand up to re-warming? And,do they taste ok at room temperature? Thanks! Hi, have a look at the video to get an idea of what the dough should look like...You'll need to add enough flour so that the dough doesn't stick to the board or your hands...Feel free to add more flour than the recipe calls for because I have no idea how much water your local flour absorbs...If you're going to add more flour now that the dough has risen, then knead it and put it through two more risings (one to work the flour you've just added, the second rising after you've shaped the buns)...good luck! Thank you, happy you're happy! I love love love your recipes! I made panipopo today for our church. It wasn't the 1st time that I made it. I've even had people ask for the recipe and gave them yours! It's amazing! The dough is soft & it's just amazing! I'm going home for christmas (Samoa), & can't wait to make it for my parents & grandma! Thanks again! Thank you very much...I'm sure your folks in Samoa are going to love your baking...Jealous much you are going to Samoa...Have an amazing time! Thanks for trying this recipe. Sounds like the pan was too big. Next time use a smaller pan or double the recipe. Good luck! Hey i made these last night. needed a bit more flour than it said and i think you have to add some sugar to activate the yeast in step 1. they were very good though, delicious hot from the oven. great stuff!, thank you very much. Peace! Thanks very much for your feedback. Flour is always the wild card in this recipe, but glad you found the right proportion. Malo! Hi, just wanting to know if it's the same if i was to use coconut cream instead of coconut milk? Am looking at making them this weekend, hope they turn out as good as yours lol. If your coconut cream comes in a can and is unsweetened, it sounds like the right thing. Sometimes the terms are used interchangeably. Please let me know how your pagi turn out. Good luck! i'm ready to make some but couldn't find 'active dry yeast' BUT bought a box that says 'edmonds dry yeast' is that the same?? sorry for sounding so ditzy haha. If your yeast looks like little pale brown balls, then that's the right thing...good luck and let me know how it goes. I don't have vegetable oil, can i use canola instead or should I stick to what the recipe says? Made panipopo a couple of years ago, DID NOT turn out good at all so have been putting them off for ages, cousin who doesn't cook at all makes them, says they turn out perfect, so decide to make them and now i'm wondering why i waited so long! hahahaha!!!! LOVE LOVE LOVE how they turned out!!!!! Sooooo delish and i've made 2 batches already and they disappear just like that hahaha!!! thanks again and thanks for sharing your recipe for the likes of us that like to eat them but don't want to spend money on them from the bakerys etc hahaha. Oh thanks so much for your comment. It always puts a smile on my face when I hear about another successful pan of pagi popo. Please share the recipe with anyone who asks. It's just too darned good to keep a secret. Happy cooking! Hola! I really hope these work out for you. Please let me know how they go. Thank you SOO much for the videos and your blog. I made these tonight and my husband was very impressed with my first attempt. We live in brisbane Australia and have many ozzy friends so I can't wait to take these babies to an ozzy BBQ. I know this is gonna sound really stupid, but my pagi popos don't rise as much even though i've followed your instructions, i however don't knead it for the full 10mins you say you should, i just knead it just enough for it to be smooth, would that be the reason why or are you able to tell me why please??? Hi there, thanks for your question (not stupid at all)...The dough should at least double both risings, and if it doesn't, the problem could be either the yeast (too old/dead: killed with over-hot water) or the pan size might be too big for the buns, or you may have added far too much flour. If you don't think it's any of these reasons, then perhaps you may not have waited long enough for the risings. Remember to go by volume and not time. Good luck! My grandma vasati made the best, and i mean the BEST panipopos. The samoan stores here in Hawai'i would buy batches from her to sell from their store (we lived in Lai'e) and she would bake ANYTHING samoan. In 2002, she passed away and no one was able to get her recipes. Til this day my uncles and family is angry over the fact that my aunties did not learn her recipes and now we are clueless and ashamed to have lost it. Thank you for posting your recipes here and although I have yet to try it, I will let you know if these can live up to it ;) I hope to make my family proud again! I am making a batch right now and i hope it comes out great ! I will let you know how it goes. Once again, Thank you for blessing us with your samoan baking and cooking gifts. Hi Sia, thank you so much for your comment. Bless your grandmother for her talent. I don't know if my pagi will do justice to her memory, but I am always open to suggestion for improving my recipes, so by all means, I welcome your feedback. Happy baking! P.S: Please give me some tips on how i can prevent the soaking of the sauce (the pan literally came out DRY w/o any sauce)....PLEASE HELP! So sorry to hear that Sia. It helps if you use an oven thermometer because all ovens are different...Go by the look of the buns, rather than the time...if the sauce soaks completely into the buns, then you don't have enough sauce (perhaps your pan is bigger than the one I used)...Good luck! Ok sounds good,i made balls out of my panipopo right now so its in the process of rising. I am now using a smaller square pan and going to use the rest of the coconut sauce i had left. I have a question about that though, should I pour the sauce up to ALMOST the tops or half way?? how far should the sauce be going up the buns without it being considered "drowning" them? Just pour on the sauce until the buns float. Sorry I can't see your pagi from here, but if you bake them up and there's still too much sosi, then simply pour it off. Hope they work out. Thank you so much, the buns are now doubled in size and they are looking better than my first batch (I made jelly-roll style but i find the traditional way of shaping the panipopo much easier and comforting!) and going to pour the sauce on. After it bakes then I will have my food critics (my family, lol) taste once more. This time I HAVE to make them perfect or my aunty will end up giving me a sasa! Tai Lava for sharing this most desirous recipe with all of us. okay i looked at your fa'apapa recipe comments and you said coconut milk and coconut juice are different i already made the sauce for my panipopo and i just simply cracked open a coconut and poured the juice out into the sauce is that okay or should i redo the sauce? Hi Chloe, please redo your sauce...Coconut juice will not thicken like coconut milk when it is cooked. So glad it finally worked out in the end. Hope you try more recipes from this site! Hi there, just wanting to know how thick should the dough be when it's rolled out before i roll it up then cut it?? Try half an inch (1.25 cm), but it's really up to you how thick you want your layers. Just remember to cut the slices evenly so the buns are all the same height. I made your panipopo many times now and when I finally decide to double the recipe, Its not going right..the dough does'nt rise right and is just hard to work with. Any suggestions or ideas how you think that might've happened??? Hi, I often double, even triple, this recipe and it works fine. Not sure what's happened with your dough as there are so many variables. My best guess is that you've added too much flour and the dough has become too stiff and heavy, but as I'm here and you're there, can't say for sure. Good luck! Perfect!!!!!...... Now making my way through to all your other recipes.... Yummy can't wait!!!! Thanks for your comment...happy you've got the Master Chef title...lol...BTW, my sister just gave me a no-knead pagi popo recipe which I am hoping to post soon, so stay tuned...will save you a lot of sweat (and tears? )...All the best! Thank you so much for this recipe. My husband was born in Samoa and has been talking about pani po po and how he used to love it when he was younger for years now. I'm not much of a cook but your recipe was so well explained and simple that even a novice like me was able to make it (and to his liking!). He loved them and I think this made his day, month and year! Thanks for your feedback. It totally makes my day to hear positive comments like yours. Glad your husband liked the pagi and I hope you realise that your success is both a blessing and a curse, because now he knows you know how to make them, you're going to have to find the time, patience and energy to make them again and again. Happy cooking! It's me again. For those of you w sticky dough- mine was as well so I had to add more flour- just keep adding until you can hold your dough in a ball. I used a US brand. I also needed to add more than just a sprinkle when rolling. It helps keep the jelly roll together. What a great idea though! Such a great recipe and my husband is so curious how i got the swirls... but won't tell him. I also did not use corn starch in my cocunut milk and felt it came out a little too thin. I think the branch I bought already had water in it so next time I will have to use corn starch to get it thicker. Just a tip for those who run into the same issue. Thanks again for your amazing recipe. You're very welcome. Thank you too for sharing your excellent tips. Hi there my favorite chef, I tried out your panipopo recipe about 3 times now and it's a hit with my family and friends. My husband is my worst food critic and after eating my panipopos, he can't stop talking about it, he said they are the best he's ever tasted...so....give yourself a thumbs up, because your recipe is a winner with my critics. Tonight I tried your keke pua'a recipe and my hubby and kids loved it...even though I had to bake it because I don't have a steamer hehehehe! I am just on a roll with all this baking...and I love it! It's good when you make something and everyone enjoys it. So BIG THANK YOU to you my secret baking teacher, adviser and mentor. I love your sense of humor as well, great presentations and simple methods. I love it! Bytheway I'm from Manurewa, Auckland, New Zealand. Hi there and thank you for your feedback. I have fond memories of Manurewa, Auckland. Glad your husband and family liked the panipopo and keke pua'a. Just a tip for the baked keke pua'a - after baking, brush the tops immediately with some melted butter and the crust will be nice and soft. All the best with your Samoan baking adventures! Today was my first attempt at baking panipopos and they turned out AWESOME! Thank you sooooooo much for putting the recipe & video up, very helpful! I used to buy panipopos from some random Indian shop (which are made by a Samoan lady of course). I did the yeast twice but it didn't froth up as much like yours in the video (maybe cos I used Yeast and not "Active Dry Yeast"? and waited 10min) I don't know but I went ahead anyway. As it was a sunny but cold day today, my kitchen wasn't as warm enough for my liking so to let the mix rise, I went ghetto Fob style and put it in my car lol. It worked so it was all good haha..
Silly me didn't read the instructions thoroughly, and I ended up cutting the roll into 9 equal parts (around 1.5-2inches) and the buns came out GINORMOUS lol. After I've mastered the art of Panipopos, I will move on and attempt another one of my favourites, the Keke Pua'a! Thank you once again for putting your site and your videos up! Hello Beginner, your comment brought a big smile to my face. Love it when someone tries to make something for the first time and they have overwhelming success. Funny about your ginormous buns, and 'ghetto fob style' car warmer, but hey, whatever works right? Looks like you're well on the way to making great Samoan desserts. Good luck with the keke pua'a! Hi Proud Dad. Many thanks for your comment. My first thought was kalofa e, 8 trays!??! But you did it! And only on your second time making them. What a great inspiration for my readers. Good on you for spreading Samoan love the culinary way. Malo! I finally tried this :) Thanks for the video too - was so easy to follow. I made a little addition and sprinkled cinnamon before doing the jelly roll - soooo yummy and gives panipopo a different flavour. 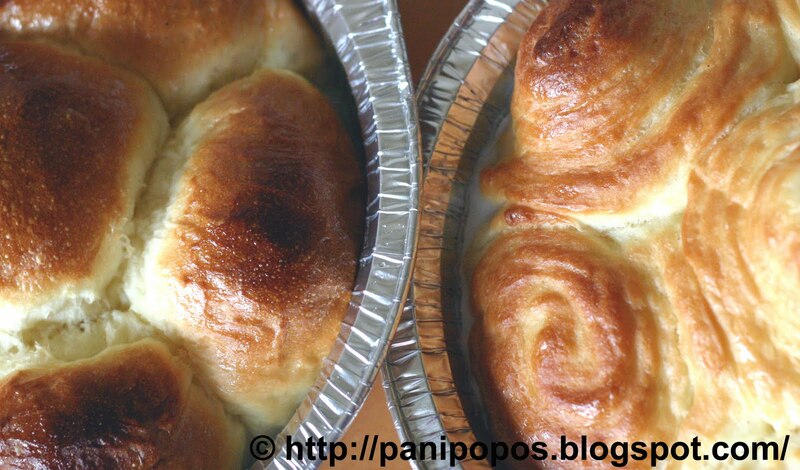 Hey Liz, you made panipopo!! Yay! I like the cinnamon twist. Will try that next time. Finally had the guts to try this and came out perfect!! Always had my mum make them for me while i was pregnant and now I can finally make them myself! Even my mum says this is better than hers! Better than any that I have bought! thank you soo much! loving your recipes! Hi there, and thanks for your comment. Its high praise that your mother says they are better than hers. Made my day! Just wanted to stop by and say THANK YOU! My other half is Sa and my kids have multicultural day at school this week and we now live in Australia. So when my son asked for coconut buns instead of afghan biscuits i went hunting online and found your youtube clip. Im about to do my test run but im sure it should work out fine because the info and clip you have provided is 10/10! Hi leoniejohn...I always get nervous when people say they are making these for multicultural day/bake sales/special occasions because I know there is a lot riding on the success of these...So all the best! Hope your son and his classmates enjoy your baking! Thanks so much laney for your feedback and the encouragement. Happy baking! Thank you for leaving your feedback. It's much appreciated. Thanks also for sharing your baking on fb. I'll try to find your pagi and post on SamoaFood's page. Cheers! Wonderful to hear! Thanks for the comment and the encouragement. Thank you for the recipe, and I am telling you I can't stop making it... I really appreciate it. Malo teineolemotu, thanks for your comment. Bet your family and friends are thrilled that you can't stop. Happy baking! Fanx for being here and with the knowledge u provide is much apreciate. Can't wait to try this out :) We are Samoans living in the Middle East - Abu Dhabi. (and there's are a lot of other Hamo's living here too!) So its not like you can run down to the Otara flea market (like we used to) for our weekly dose of pagi popos and Cook Island doughnuts lol. Missing home, family, friends and importantly, the FOOD! Thanks heaps for the recipe. Now what the heck are Samoans doing in Abu Dhabi? The mind boggles. Definitely try the recipes please, and let me know how it goes. Be careful with the doughnuts though. They are very addictive. Haa haa, hi again! Have finally tried your recipe! I did a couple things different - 1) put a bit of sugar in the water to proof the yeast, and 2)used brown sugar instead of white, resulting in a brown coloured bun. Mum and my 3 year old boy have already had 2 servings as I'm typing this. Shame they don't have koko Samoa in the Middle East. Your recipe wins! Look forward to trying more of your recipes. Thanks again. Hi there...I am from Fiji and I was searching for a Fijian lolo bun recipe when I came across yours and decided to give it a try as it looked similar to the Fijian one. I must say it turned out absolutely fantastic - words cant describe that first mouthful - bliss to say the least - I thought I had died and gone to panipopo heaven. I have had many a fijian lolo buns in the past but I have to tell you your samoan panipopos takes the biscuit!!! Hi James, thanks for bringing a smile to my face. I've never had lolo buns before but now you've got me curious, I'm going to google and see what I can find. Glad you enjoyed the pagi! First of all, Thank you for sharing your recipe!!! Ive been using it for months and everyone LOVES IT. But I have one question, I need to make 6 Pans by tonignt And I was wondering If I can Triple the recipe? Yes, you can. And if you're going to adjust the pan size, then adjust the sauce accordingly so that it comes to at least half way up the buns. Good luck and Happy Christmas! Thanks for your comment and you are very welcome. Glad I helped you with all your cooking and I hope your pani work are a great success. Happy baking! Congrats on your pregnancy and hope you have lots of success with making the pagi. (If you have any questions, let me know.) Perhaps if your pagi work out you can be the one to open the first ever Samoan food shop in Washington State. All the best. Hi MargieT. Without seeing your pagi, I can't really say what you did wrong (if anything). If you followed the recipe and the video, then they should have turned out fine. Anyway, thanks for the feedback. I am a black woman who enjoys good food from different cultures. I came across this recipe a few months ago and decided to give it a try this evening. It came out beautifully. My family and I loved it. I also made the chicken curry recipe that you posted and that was a hit as well. Thank you so much for sharing your recipes, giving us (my family and I) an opportunity to create and experience something new. Thanks so much for trying our food. I'm happy you and your family liked it. Black women, in my experience, are the most amazing cooks. Thanks again. finally got to try this recipe & what a success thank you heaps for making life so much easier for the lost baker! I have a question, can I make the dough then prepare on tray and leave overnight ready for cooking the next day? Ooh, that's a tough one. You can't just leave them out at room temperature, but what you can do is proof (rise) the dough once, then shape them, cover with clingfilm, and put them in the FREEZER. The next morning, take out the tray of buns and let it both defrost and proof for the second time and once they've doubled in size, bake. Hope this helps. I made this recipe last night and it turned out perfect! My husband is Filipino and it reminded him of some breads he had as a child. He loved the recipe! Thanks for letting me know, Tara. This really brightens my day. Hi Susie, very glad to hear your comment. They are not so hard to make. They just take time which people these days seem to be short of. Let me know if there's anything I can help you with, and good luck with your baking. Hi, thank you so much for this recipe and the video too. I am a Samoan living in Trindad and Tobago, in the Caribbean. I made pagipopo tonight, for the first time, and my Caribbean friends loved it. They want me to make them again sometime soon :) The buns turned out perfect but didn't have enough sauce, but i will correct that next time. I came across your blog and video when i was looking for the palagi name for saito...lol and found it on your suafa'i video. I wanted to make suafa'i but didnt know what name they would call saito here. I went looking for tapioca and i did find it but they call it 'sago'..lol e le kele a se eseesega ma le faasamoa. Hello Anonymous. Thanks so much for your comment. I've always wanted to visit that part of the world because one of my good friends is Trini. Happy that your pagipopo worked out and yes, Easter was awesome. Hope yours was too. All the best with your next batch of pagi. Thanks for your comment Daisha. I can't believe you've made 40 batches. Even I haven't made that many. Yes, the bun recipe is very flexible so you can use it for all kinds of things, and the idea of cinnamon rolls is making my mouth water. Thanks for using my recipe and happy baking! Hi Sophie, thanks for your comment. You're so right that food brings people together. Hope these work out for you. Happy baking! Thank you for this recipe, first time success. Now I can tell my mom that I know how to make this..lol..talofa lava:) Next Fa'apapa on my to do list! Great you had success! Good luck with the fa'apapa. I've tried this B4 and it was really good. Thanks for sharing the recipe. Know I can make it myself. Hi Taima, do give these a try. They're so much better when you make them yourself. Good luck. Do you know of any adjustments I need to make when cooking your recipe at 6500-6600 feet of elevation? Wow Steven, first time I've had that question. At high altitudes, dough rises faster so what some people do to slow down the rise (and thus get more flavour from the dough) is to either 1) reduce the yeast to 2 teaspoons or 2) put the dough in the fridge to proof (rise) for the first time. After you shape the buns, you can leave them out to rise for the second time while preheating your oven. Good luck! Thank u so much for your recipe! Im baking me a batch right now :-) my apartment has the aroma of a bakery! I can't wait to try. Ill be definitely doing this again as a double batch for my next whanau gathering!!!!!!!! Hi Lawrence, thanks for the feedback. The only downside of making these for your whanau is that they'll expect you to make them every time there's a gathering. I hope your buns taste as good as they smell. Hi Zarrah, thank you very much for your comment. I'm so glad that your kids and husband loved your baking. I'm sure your family will love the other desserts, but if you only make panipopo, they probably won't complain. Thanks again.